The last few evenings when my hands are sore from crocheting stuffies I’ve been playing around some more with polymer clay. It’s been a nice break for my hands and it’s a lot of fun. For the longest time I told myself that I couldn’t use a crochet hook with a handle because I bought a foam one on a whim one time and it was awful! It covered the thumb rest and part of the throat of the hook, it made holding the hook feel awkward. It was change. And I didn’t like it. I’ve been drooling over some of the amazing hooks put out by a couple of the pages I follow on Facebook and decided that my poor Red Heart hooks needed a facelift. I decided not to sculpt anything for them- I wanted a slim, streamline handle that I would be comfortable holding for a long period of time. I think I may be “hooked” on polymer clay! 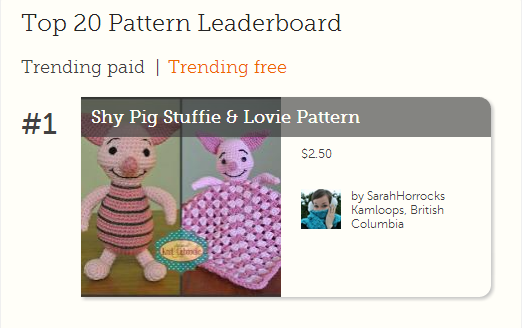 On another note, I released my Shy Pig (Piglet) pattern last week and the response was astounding! In my short time as a designer who sells her patterns I’ve had the pleasure of being on Craftsy’s top 20 leaderboard a couple of times. Usually around #14 or #15 but it’s always a thrill to be up there with established designers such as Bonita Patterns and Frayed Knot. The #1 Pig! For a day and a half! Sure, he was on intro special while he was #1 but I’m still so proud of the achievement. When hubby came home from work that evening he insisted we order sushi in celebration (though I think he just wanted sushi 😉 ). I want to see close ups. Congrats on your Shy Pig. Oh I love the hook handles! So neat 🙂 congrats on your pattern success. You are a true talent! 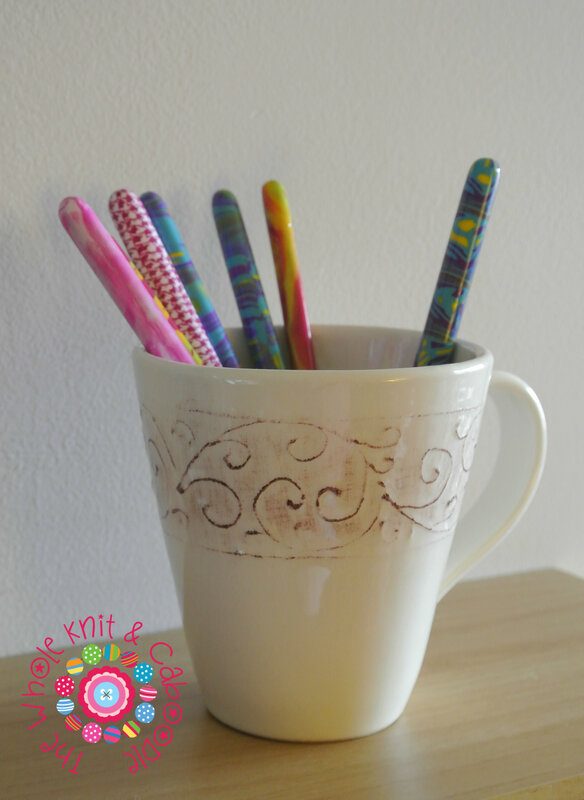 How wonderful that you created beautiful AND functional crochet hooks. Bravo. As to your hand pain, check out my blog post from today that has “treat” in it. Really.